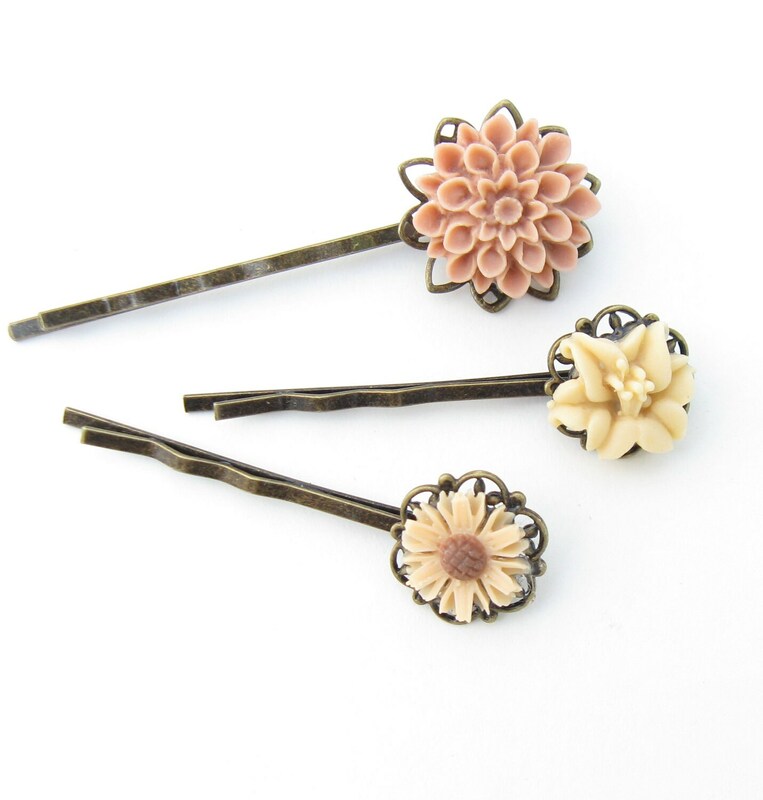 A trio of Peach and Cream flower hair pins that you can mix and match. A small daisy like flower, a lily, and a larger chrysanthemum. The pins are around 2 inches long.